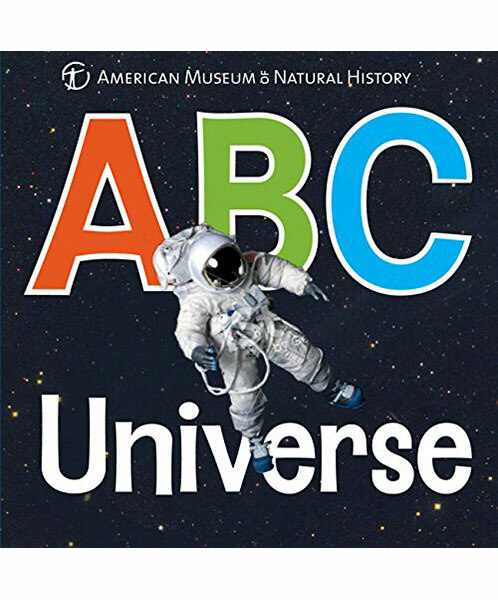 From an astronaut in space to Voyager, yellow dwarf, and zenith, this ABC board book opens up the entire universe to children! Created in tandem with the American Museum of Natural History, it takes kids on a photographic journey through comets, flares, and planets like Jupiter, and introduces them to black holes, supernovas, telescopes, and more. Perfect for the youngest astronomers ages 2 and up.